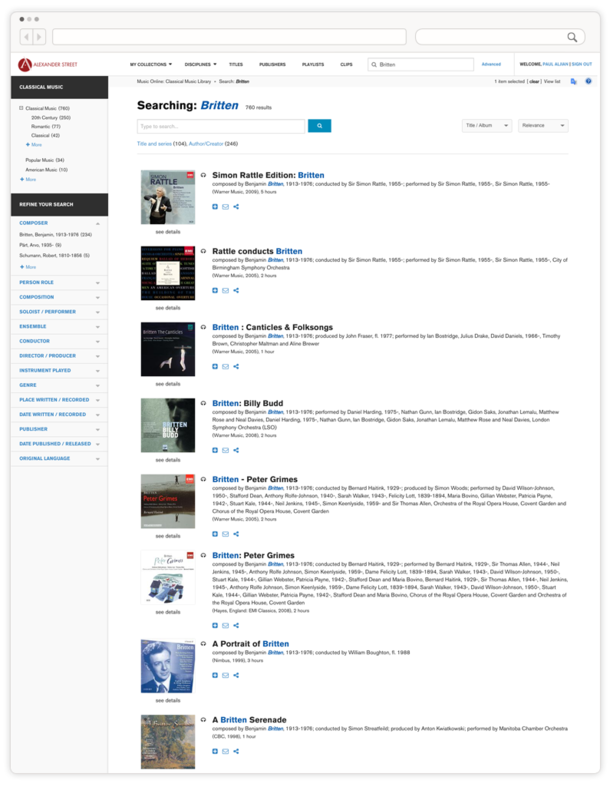 Explore the largest, most diverse, and comprehensive catalog of online music content in the world. From classical to alternative rock to zydeco, from ballet to operatic arias to alternative dance, Alexander Street's music and dance resources cross genres and content formats. 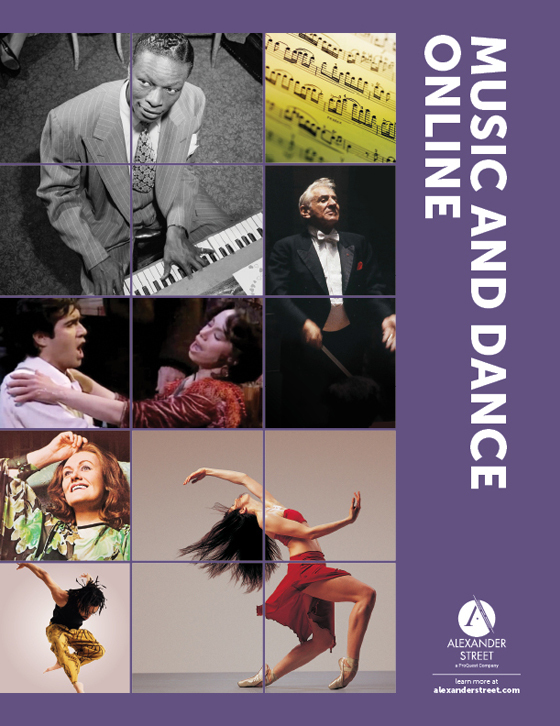 Students, faculty, and patrons of the performing arts can access the most powerful platform to research, analyze, teach, learn, and—most of all—enjoy music and dance. 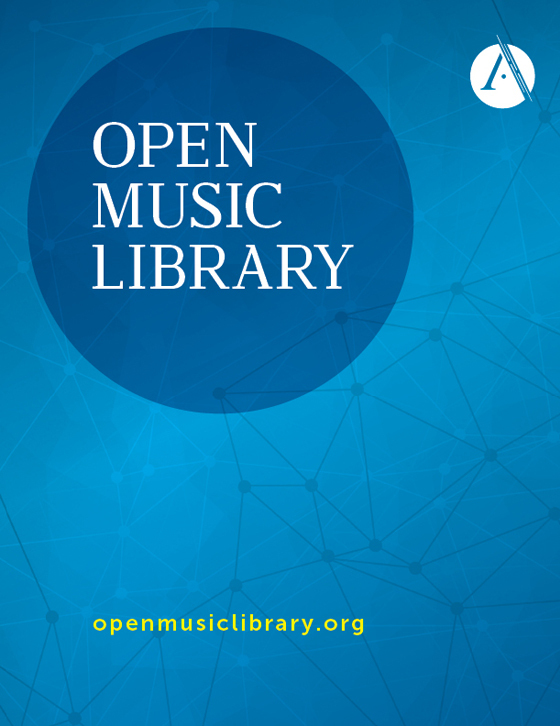 The largest and most comprehensive online collection of in-copyright audio and video performances and scores available anywhere. Access valuable materials at a small fraction of the typical cost of physical acquisition. Navigate between score and performance with searchable, synchronized transcripts. When you find a phrase in a score that you want to hear in the opera, search for and click on those words in the synchronized video transcript and you’ll jump directly to that moment. Access supporting materials. Dive deeper into the music with digitized and downloadable album liner notes such as this 2016 Grammy nominee for liner notes, The Life and Legacy of Lead Belly. Create a playlist. 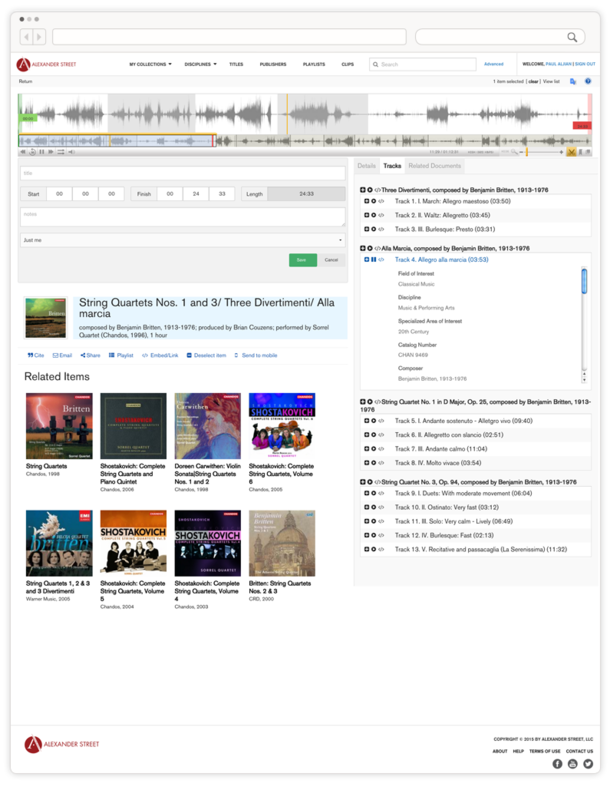 Organize key videos, albums, song tracks, scores – even clips of these! 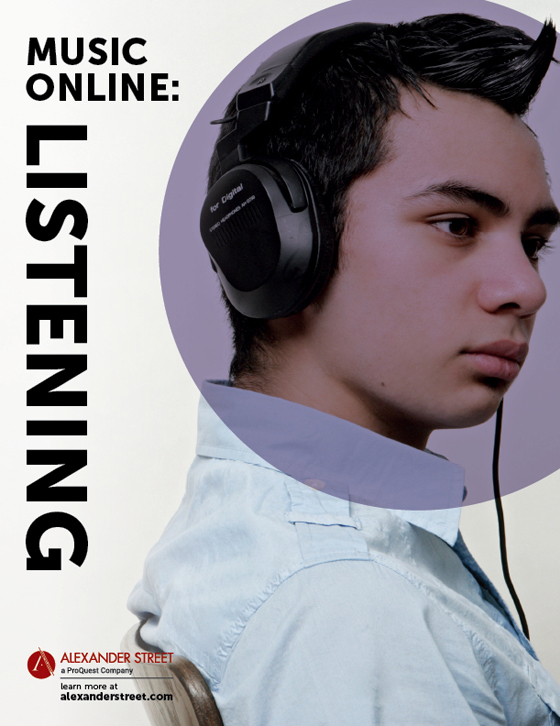 – into an online playlist that you can share with students or embed in your syllabus or LMS. 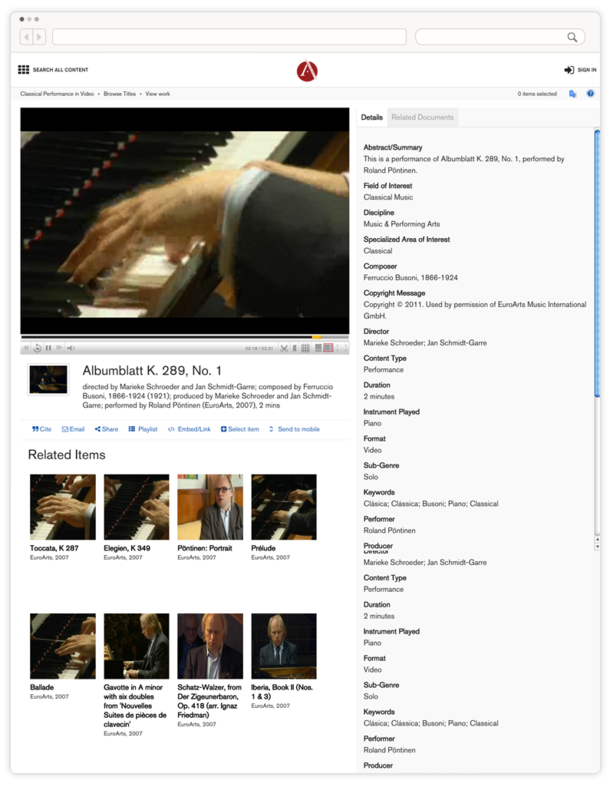 Add links to any content, such as YouTube videos, and make it a central digital resource. 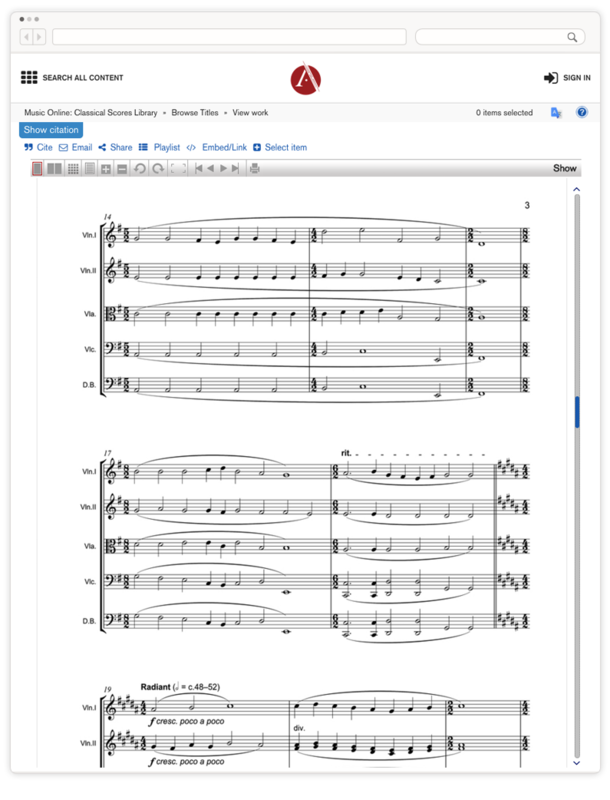 Annotate a score with discussion questions for students to access outside the classroom. 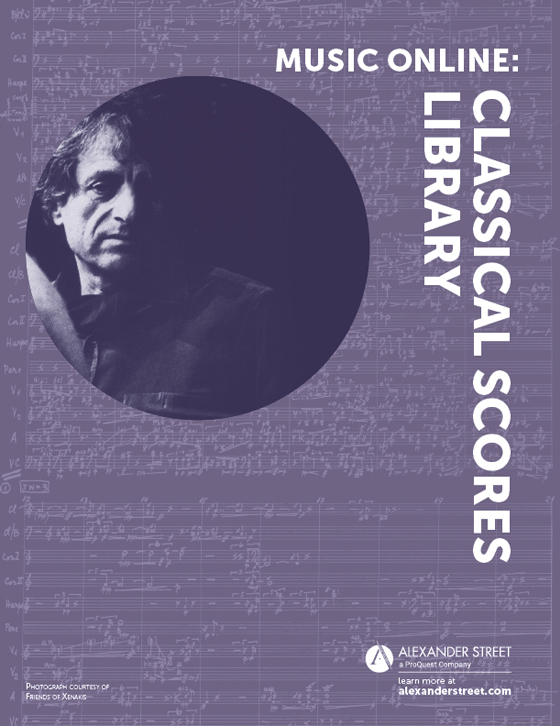 Compare masterclasses to master performances. 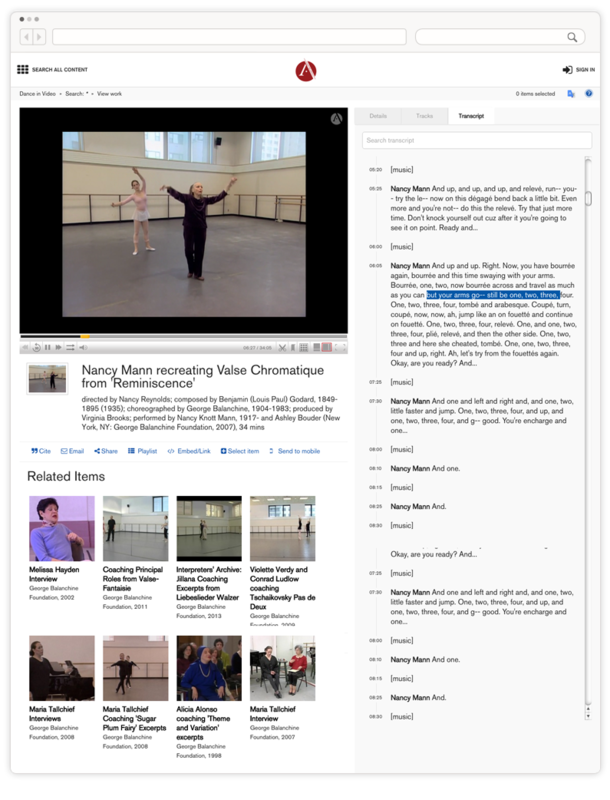 Provide students with comparative viewing of multiple performances and performance types. First, watch a masterclass of Sir Andras Schiff working with a student on J.S. Bach’s Second Partita for Keyboard. Then compare it to his own technique in a performance of J.S. Bach’s French Suite No. 1. Provide background information on composers, works, and key terms with reference texts. 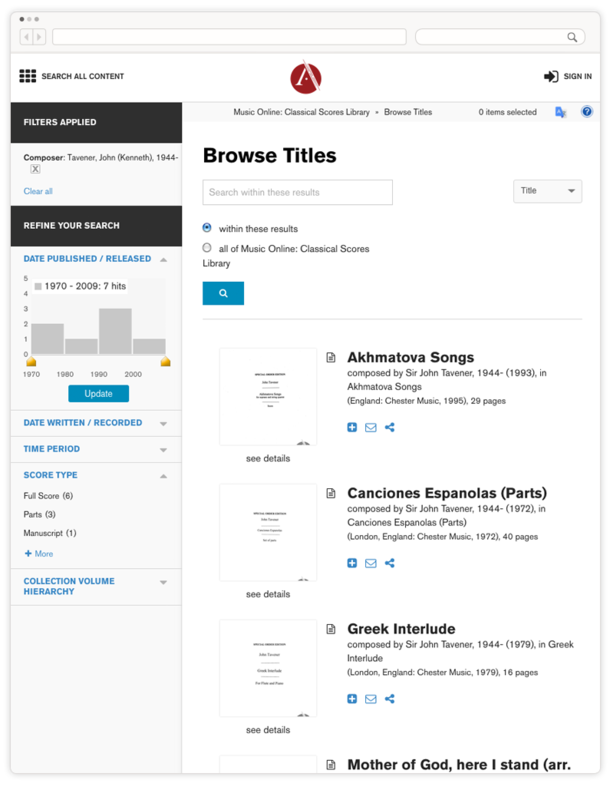 Searchable transcripts, annotation tools, and an instant citation exporter all empower users to make new connections and share what they have discovered with each other. 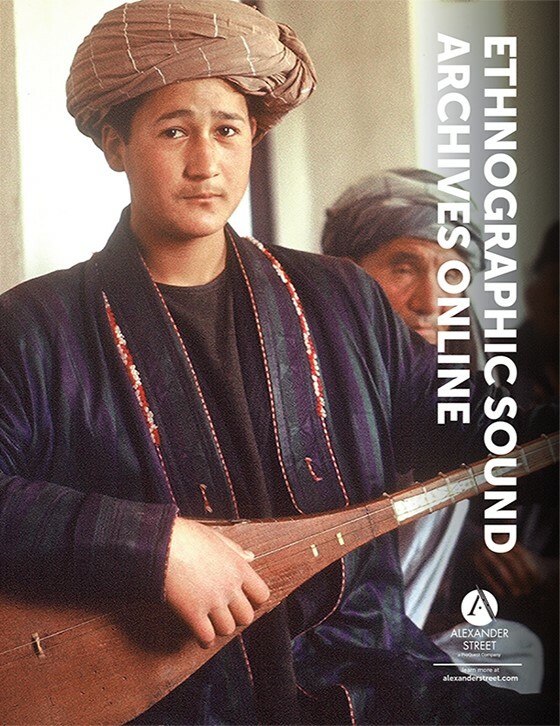 Guaranteed access to the highest quality, and most legal, versions of the videos, audios, scores, and texts scholars need to do their best work. Controlled vocabularies and semantic facet browsing allow users to discover new materials and find exactly what they need. 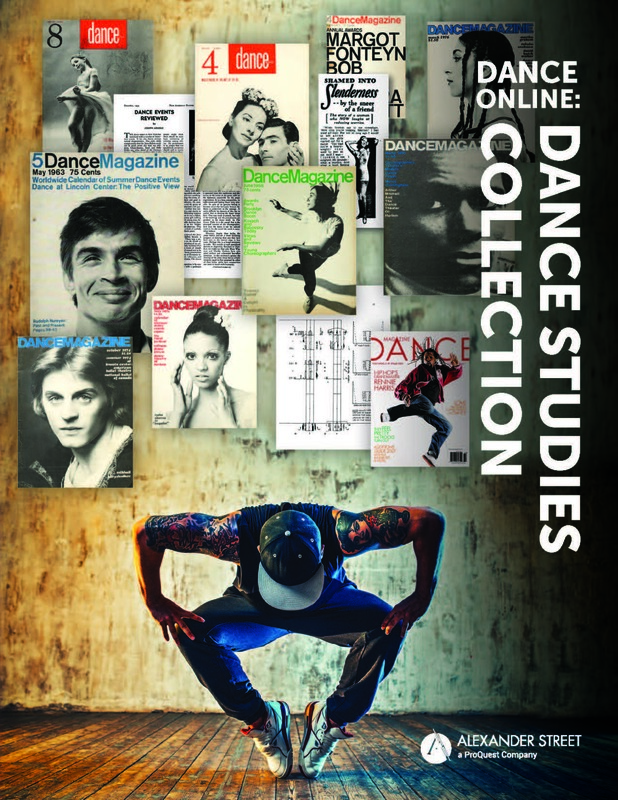 Bonus resources include 400,000+ playlists and hundreds of clips created by faculty and subject matter experts, including playlists matched to popular course syllabi. Embed features allow for easy LMS integration.